Teamwork. 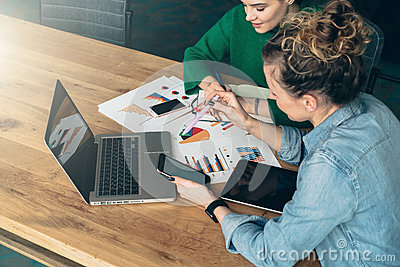 Two young business women sitting at table in front of laptop. On table is tablet computer and paper charts. Teamwork. Two young business women sitting at table in front of laptop. On table is tablet computer and paper charts. First women looking at screen of smartphone, other takes notes in notebook.